List of Confederate General Officers who graduated the United States Military Academy (West Point), with their Class and the order in which they were graduated. There is also a brief list of those Confederate Generals who attended West Point, but did not graduate. ARMISTEAD, Lewis Addison Entered West Point 1834; resigned 1836. DEARING, James Entered West Point 1858; resigned April 1861. FRY, Birkett Davenport Entered West Point 1842; resigned 1843. GOGGIN, James Monroe Entered West Point 1838; did not graduate. HUMPHREYS, Benjamin Grubb Entered West Point 1825; dismissed 1826. KELLY, John Herbert Entered West Point 1857; resigned 1860. KIRKLAND, William Whedbee Entered West Point 1852; resigned 1855. LIDDELL, St John Richardson Entered West Point 1833; dismissed 1835. ROBERTSON, Felix Huston Entered West Point 1857; resigned January 1861. ROSSER, Thomas Lafayette Entered West Point 1856; resigned April 1861. STOVALL, Marcellus Augustus Entered West Point 1836; resigned 1837. YOUNG, Pierce Manning Butler Entered West Point; resigned May 1861. These lists have been based on several works: Ezra Warner's Generals in Gray, Francis Heitman's Historical Register and Dictionary of the U.S. Army and John and David Eicher's Civil War High Commands. Among the more famous personalities included in this band-of-brothers are Gen. Robert E. Lee, Gen. Thomas J. 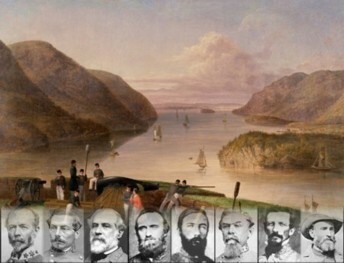 "Stonewall" Jackson, Gen. J. E. B. Stuart, Gen. A. P. Hill, Gen. James Longstreet, and Gen. John B. Hood. The only exhaustive guide to the South’s command, Generals in Gray belongs on the shelf of anyone interested in the Civil War. 5 STARS!